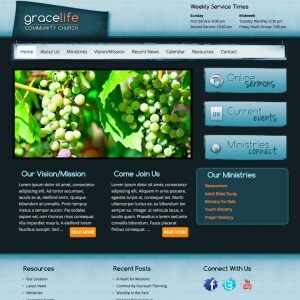 This new premium church theme features a compelling gradient blend of turquoise and grey-blue and an intuitive, user-friendly layout. Speaking of ease of use, as with each of our premium WP themes, this is as easy to manage and edit as it is impressive to behold. And with the full install file package included with your purchase, you can have a new church website up and running in very short order.